Like most startups, the business originally known as David Kirby photography started in a garage, over 30 years ago. David Kirby was a keen photographer who spent hours, surrounded by film and negatives in his dark room. His passion for photography ignited a career and became Studio Kirby, a Brisbane school photography company. In 2010, David’s sons, Matt and Michael, took over the family business. Since then, they have grown it into Queensland’s premier school photography company and now work with over 150 schools and universities annually. In 2017, we launched Studio Kirby Marketing, with the aim of taking the school world by storm. If you’re ready to shake up the status quo with insightful, data-driven and strategic marketing, then our professional marketing and creative team are here to help you with the tools you need for success. We partner with you to create better stakeholder engagement, communicate your brand, increase revenue streams and help you reach your immediate and long-term marketing goals. - without the agency price tag! With a wealth of experience, our team knows how to deliver tailored, affordable and strategic marketing to meet your needs. We can help you discover your school's unique value proposition, create a powerful brand, develop a winning strategy and create beautiful marketing material including websites, videos and photography; while engaging your community and stakeholders for greater opportunities. 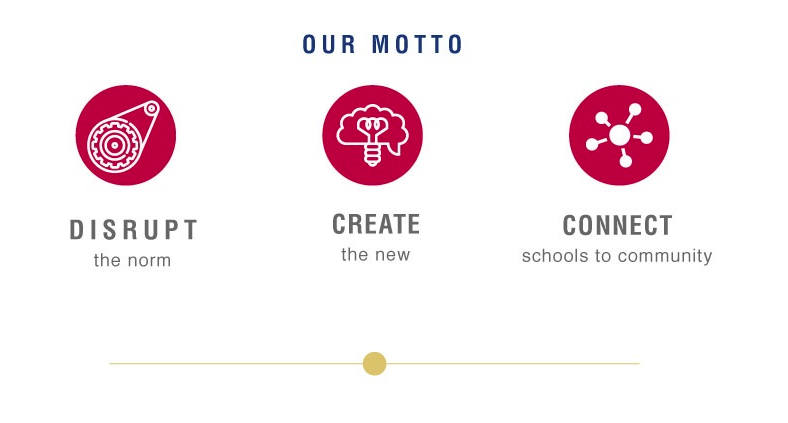 We're a bunch of big thinkers, creatives and strategists, who make great schools into extraordinary schools. Matt is founding partner in Studio Kirby. His professional goal was to change the stagnated and traditional school photography industry. Matt enjoys time behind the lens as well as building the business. Quirky Feature: Always like to wear socks. With over 15 years in the industry, Michael has successfully disrupted the traditional school photography industry to create an industry-leading business. Quirky Feature: I like my lawn perfectly mowed. Nadine is an Educational and Communication Professional with over 20 years experience. She has a proven track record of successfully managing strategic plans, communication and administration teams and roles within complex school environments. Quirky Feature: My eyes change colour. Alice was the first employee at Studio Kirby and has been working in graphic design for the last 5 years. Alice’s organisational skills have recently been put to good use as she takes over the Office Manager role in 2018. Quirky feature: Has six chooks. Blair is our resident IT and video expert. He specialises in the technical side of film execution and editing. He loves the challenge of creating new content in an engaging way that resonates with the target audience. Quirky Feature: Eating cereal with no milk. David is a senior photographer at Studio Kirby with 20 Years experience, specialising in portrait and school photography. He has been working with schools across Australia, predominantly in Queensland for the past 13 years. His eye for detail has earned him an esteemed reputation. Quirky Feature: My personality. Todd is the school photography coordinator. Without him everyone would be lost!! With over 10 years experience in coordinating shoots and scheduling Todd makes day to day life run smoothly in the office. Quirky Feature: Annoying. With 11 years experience, Frances started as a children’s and pets portrait photographer. She spent time as a newborn photographer and image retoucher while travelling the world. Quirky Feature: Can’t raise one eyebrow at a time. Elliott is a valuable member of the Studio Kirby team. Quirky feature: You will have to wait and find out. Mia recently joined our team. Quirky Feature: You will have to wait to find out! Rob recently joined Studio Kirby. Quirky feature: Kept it to himself so far.